“I can’t remember anything anymore!” complains an overworked, busy mom. “No, I didn’t forget, you never told me” says the elderly husband to his wife. Both these people are forgetful, but the situations are entirely different. What each represents and how they are addressed varies, but are also somewhat alike. Let me explain. 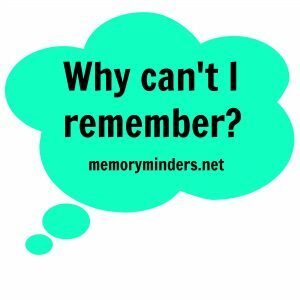 Friends and new acquaintances often kiddingly comment on how they could use MemoryMinders help with forgetfulness. It’s typically a comment similar to above regarding their memory not being quite as sharp. They are busy professionals, moms or people juggling multiple responsibilities. The reason for their forgetfulness is distinct and an easier fix than that of the older person. The older person in the example above is having a hard time remembering that they forgot something. This is an entirely different type of forgetfulness. This person may or may not realize there’s an issue and either doesn’t want to acknowledge it or will do so only after being convinced there is a problem. For this individual, the underlying issue and the subsequent action plan are much more complex. The most important thing for both of these individuals is to pay attention. The overworked mom or professional needs to stop multitasking. But often this person won’t stop multitasking for various reasons. It’s gratifying to assist these individuals to minimize their forgetfulness. But they need a desire to adjust their life to achieve and sustain mind and memory wellness. Paying attention also holds true for the second, older individual. A senior citizen must focus more intently for entirely different reasons. Their older brain needs extra time to process, which is a normal part of aging. 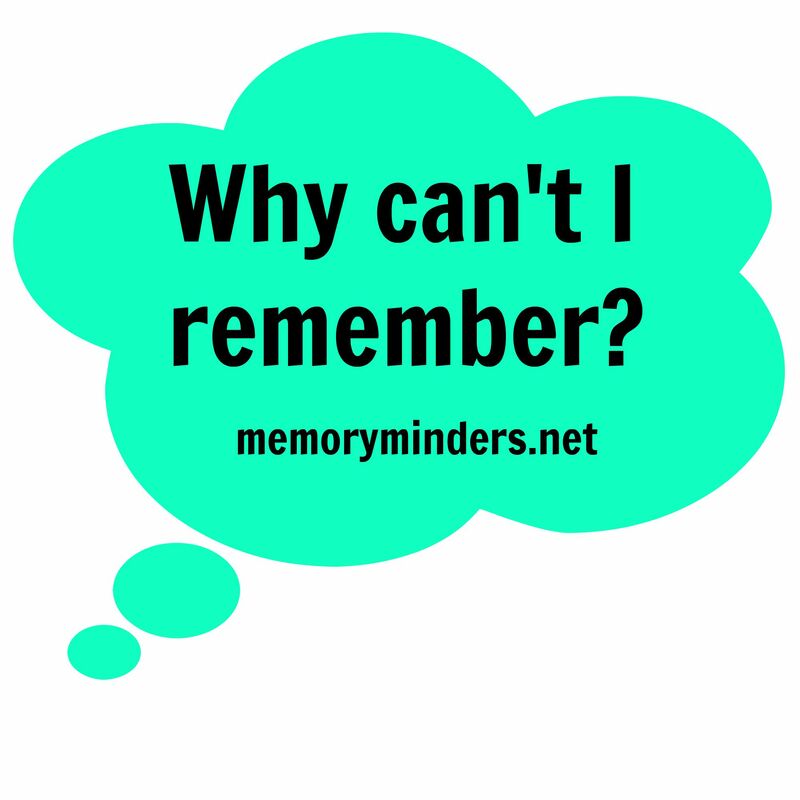 There also may be an underlying condition in their brain causing diminished memory. But similar to the younger person, the older person also must also possess a will to be proactive regarding their mind and memory wellness, not dismiss or deny the issue. 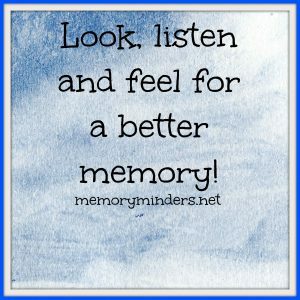 I often get calls and inquiries from children and friends of people with memory issues. They desperately want their loved one to join one of our groups or receive help from MemoryMinders. I encourage them and we discuss how our strategies are like an exercise class. You have to be motivated for it to help. A prerequisite is a desire to enact lifestyle changes to reach your goal. Some really don’t want to change. For others, their memory loss may be too far progressed as evidenced by denial of any issue. The common goal for both of these people is to acknowledge their memory issue and choose to take action. Both situations represent those we can and love to serve at MemoryMinders. Whether it’s speaking to a small or large group, facilitating small group sessions or working one on one with individuals, we can help. 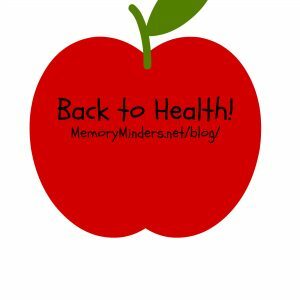 If you or a loved one has a desire to remember more and enjoy a healthier mind, contact us for how MemoryMinders can craft an action plan to help. Be aware and take care of your memory, because life is better when we make our moments memorable! Swatting away at pesky wasps while kids slurp slushies, there’s a whoosh then a sudden cry of a little girl. As though in slow motion, I see her foot slip out of the corner of my eye. I cannot grab her fast enough. I think her chin hit the bleachers as she fell. “Did she bite her tongue or break her teeth?” is my immediately thought. She falls on her side; quickly scooped up by Grandma. Sitting in the bleachers last weekend, this momentary flash is a perfect example of sensory memory. We often miss most of what we experience via our 5 senses of vision, hearing, touch, taste and smell. Every moment, sensory stimuli bombard and overload our senses. As children, we learn to selectively ignore most of these stimuli-except situations like the sudden cry of a child. Then we are on full alert. The initial component of memory, sensory memory occurs within milliseconds. All we hear, smell, taste, see, or feel is rapidly assessed and judged if it’s important enough to move into our short term memory. When we learn to tune out much of our sensory memory, we help our brains filter. But we can also hinder our memory. By paying closer attention to our senses and sensory memory, we can retain valuable information for our overall memory. We then use this sensory information in various ways to help us remember. After a thorough checking over, my little friend was fine although I’m sure she’ll have a lovely commemorative bruise. Thankfully, her chin never did hit the bleachers. Thinking back on this bleachers moment, it was memorable due to all the sensory memories I recall. The sound & vision of her sudden slip, the wasps incessant circling, her frightened cries and our bustling to assist her all combined to create the memory. Use the stimuli of all your senses to assist your awareness each day. 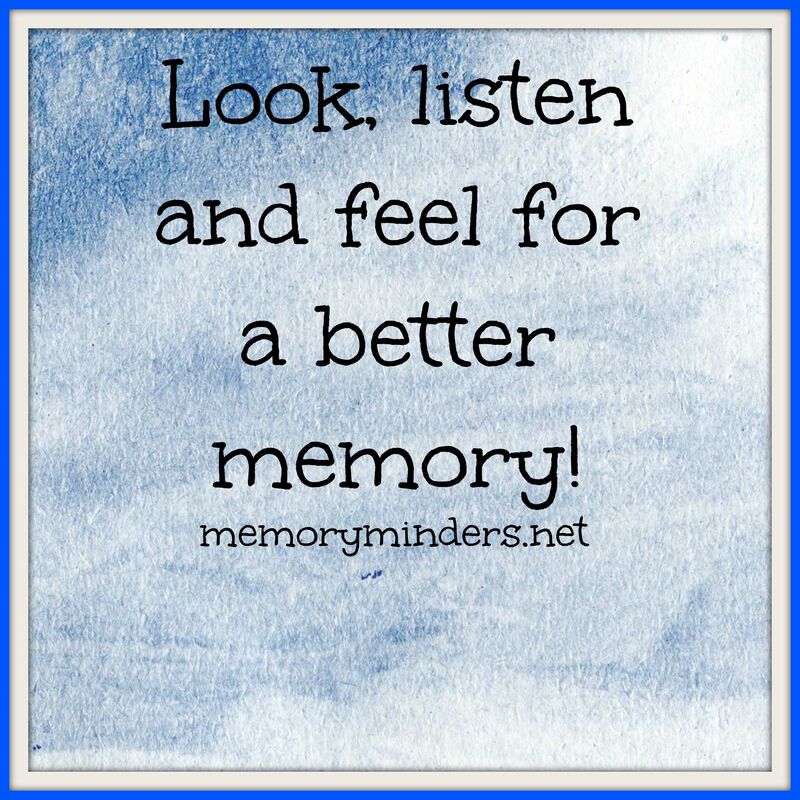 Not only will it help you pay attention and remember, it will make your moments more memorable. That’s Why I Like Raspberries! I knew there was a reason I like raspberry and dark chocolate! We all have heard that dark colored fruit, dark chocolate and red wine (in moderation) are good for your brain. It’s partially due to the component resveratrol that is naturally found in these foods. New research has found resveratrol may reduce the buildup of a biomarker associated with worsening dementia and progressing Alzheimer’s disease. Research just released in Neurology shows that purified resveratrol, found naturally in dark fruits such as red grapes, raspberries, dark chocolate and red wine, has been shown to possibly slow progression or build-up of a common biomarker of Alzheimer’s disease. A double blind study of 119 participants with mild to moderate Alzheimer’s Disease was sponsored by the National Institute on Aging and conducted with the Alzheimer’s Disease Cooperative Study from 2012 to 2014 at 21 participating centers across the U.S. Participants who received the purified resveratrol had a lower amount of biomarker Aβ40 (among others) in their blood and spinal fluid. This is an important indicator as it appears the resveratrol has crossed the blood brain barrier and showed long term results. In addition, the resveratrol was safe and tolerated well by the study participants. Further study is being recommended by researchers. While clearly more research is needed to evaluate if resveratrol can have an impact on Alzheimer’s or those at risk for Alzheimer’s Disease, I for one will continue to eat my raspberries and dark chocolate! Huffing, puffing and pushing, I sprint across my imaginary finish line exhausted, but exhilarated. I dislike running, but it was necessary rehab for a knee injury. I ran to strengthen my knee I also knew it would strengthen my mind. Physical exercise not only helps our bodies, but also our minds. Wrapping up this month of Alzheimer’s and Brain Awareness, I’d be remiss in not discussing the importance of physical exercise to brain wellness. 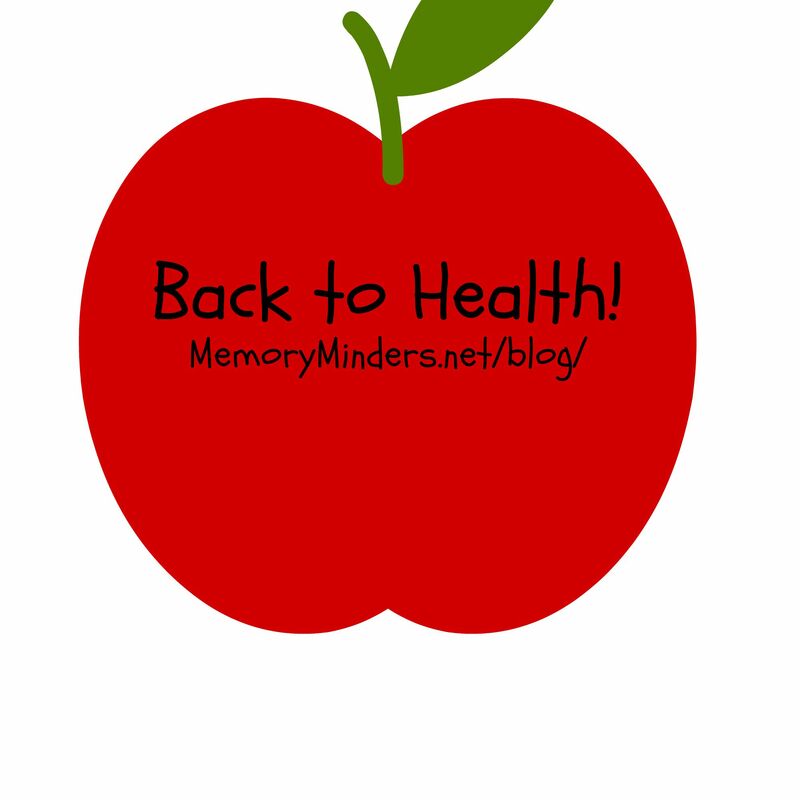 There is a plethora of research on physical exercise and memory/brain health. One thing is for sure: for a healthy body and mind-we need to get moving-literally. Aerobic or cardiovascular exercise is any exercise that increases and sustains heart rate over a period of time, thus increasing oxygen distribution throughout the body-including the brain. As I write this and you read this, our heart is pumping oxygen rich blood throughout our body. But when we increase that heartrate with exercise, more oxygen and nutrients are delivered. The increased oxygen and nutrients from the exercise fuels our brain cells to grow and thrive. Numerous research studies have shown those who exercise not only maintain better physical health, but brain health as well. Aerobic exercise has been shown to physically increase the size of the hippocampal memory center, improving spatial and motor memory. Individuals who exercised after having a stroke gained and sustained significant improvements in memory, language, thinking and judgement as well as the executive function skills of attention, concentration, planning and organizing. A more recent study suggests any activity that gets you moving can be beneficial to brain health. Physical benefits of exercise include an increased metabolism, improved mood, lower blood pressure and heart rate. All of these are beneficial in reducing our risk of heart disease and stroke and can assist in maintaining better control over chronic and/or brain degenerative diseases. Understanding all the implications and benefits of physical exercise, we would be foolish not to include this into our everyday routine. Incorporate increased activities and exercise into your daily life. You don’t have to run. Instead, park further away, take the steps or the long way to your destination. Schedule exercise into your day and keep the appointment. Get up off the couch and go for a brisk walk. 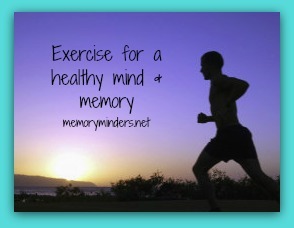 Exercise will benefit your mind and body no matter your age or ability. Whatever your physical ability level, check with your doctor and get moving. You will not only strengthen your body but also your mind.